The lodge, at the original entrance to the cemetery, was intended as the Cemetery Superintendent's residence. 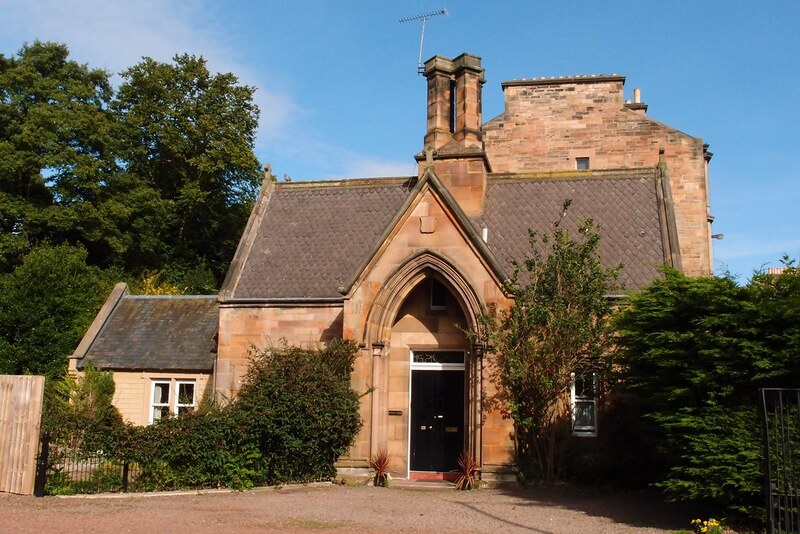 It was designed by David Cousin (1809-1878), an architect who specialised in cemeteries, often featuring Gothic gates, lodges and catacombs (as at Newington, Warriston and Dalry). His prolific output included Craigmillar Free Church in East Suffolk Road, the Grange estate (1851), Mayfield (1862), Craigmillar Park and West Savile Road (1877). From 1847 to 1872 he was the City of Edinburgh’s Superintendent of Works, retaining the freedom to continue his private practice. Dating from 1846, the lodge was originally quite a small building. Notable features include the gabled porch with a tall roll-moulded pointed arch and the fish-scale slated roof surmounted by a prominent central chimney with four tall stacks. Around 1883 architects Kinnear & Peddie extended the lodge while retaining its original style. A modern rendered flat-roofed extension was later added to the rear. The lodge was B-listed in 1992 and has been a private residence for many years, having been sold off while the cemetery was still owned by a private company, prior to its compulsory purchase by the City of Edinburgh Council in 1994. The prospectus issued in November 1845 for the Newington Necropolis lists the Rev. David Crawford as Secretary and Superintendent, but not much is known about who actually lived in the Lodge while it was used by the Cemetery Superintendent. Any information on this would be gratefully received.